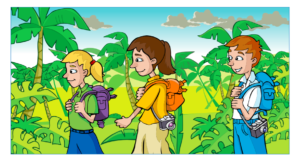 Fun with three pictures and A1 Movers and A2 Flyers Reading and Writing – Win the race! Divide the class into three groups -1,2,3. Tell each group to look at their picture. Give out slips of paper. Students in the group write a sentence for their picture on each piece of paper. 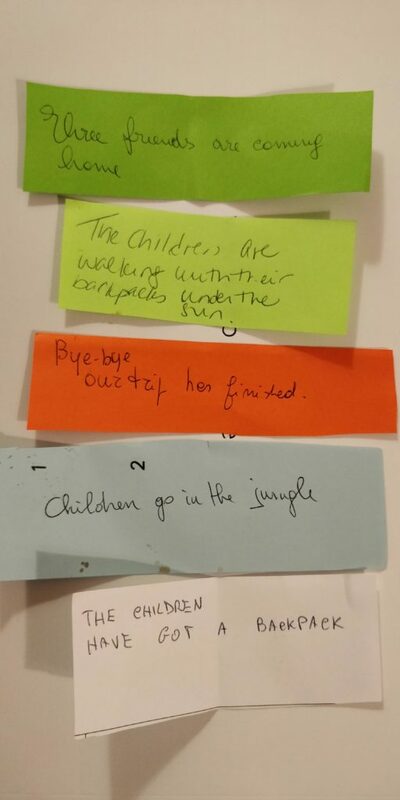 Here are four of the sentences that teachers in Italy at one of my training sessions wrote for the pictures. Collect the sentences in and put them into a bag/box. In a big class, ask 2-3 students from each group to stand at the back/front or one side of the room. With smaller classes, everyone in the group can stand together. If you have chalk, you can mark eight ‘steps’ on the floor. If the sentence is true for their picture, the students from the group take a step forwards. If it isn’t true for their picture, they stay where they are. Continue like this until one of the groups has taken eight steps forwards. They are the ‘winners’ of the race. Cover it up for Cambridge English: Movers Part 6! You’re not here – you’re at the park! "Over the years, I’ve learnt so much from students and colleagues and I try to share discoveries and activities with learners and teachers in person and via this site."